The Los Angeles Lakers, like everyone else in the league although a bit late to the party, are thinking about small ball lineups and cramming the court with guards and perimeter players, which means Kobe Bryant might be moved to play small forward or even power forward in certain moments this upcoming season. Bryant is entering what might be his final season in the NBA, his 20th. He has played only 41 games over the last two years due to injuries and getting shut down prematurely by the front office, and with his declining ability and rapid basketball-aging, it seems the Lakers are slowly pushing him out of the backcourt, where D’Angelo Russell and Jordan Clarkson are expected to thrive together. Byron Scott had a lot to say about his plans for Kobe Bryant this season. If we don’t get another guard, then Kobe’s in that mix. I’m kind of going through those scenarios. But not necessarily as far as who’s starting and who doesn’t. I think Kobe will play more 3 than 2. If we can get him at the elbows and at the mid-post, the more effective he’ll be. I don’t think he needs to be using up the whole 94-foot floor. If we can cut that down some, I think that saves his legs as much as possible. But if we can get him where he operates best, which to me is elbows on each area, top of the key, at the pinch post, at the mid-post, then I think he can be real effective for us. Kobe can play 1, 2 and 3. There’s no doubt in my mind. And there’s some games. against some teams, where he’ll probably play 4. With his tenaciousness, the way he guards people and when his mind is set, if I say ‘Kobe, you’ve got him,’ he takes that as a challenge. You know how he is. He’ll compete. A few interesting things here. Yes, as small ball will probably become even more popular among NBA teams, at least in certain minutes, suddenly using Bryant, 6’6, in frontcourt roles. He has a strong upper body and can defend bigger men if it means bumping bodies and not chasing them around the perimeter, where Bryant looks every bit of his almost 37 years. And yes, Scott actually thinking in a way that’s about utilizing advantages of players means he might be learning from his mistakes, but hold on. It’s not that quickly and easily that you control what Bryant does on the floor. 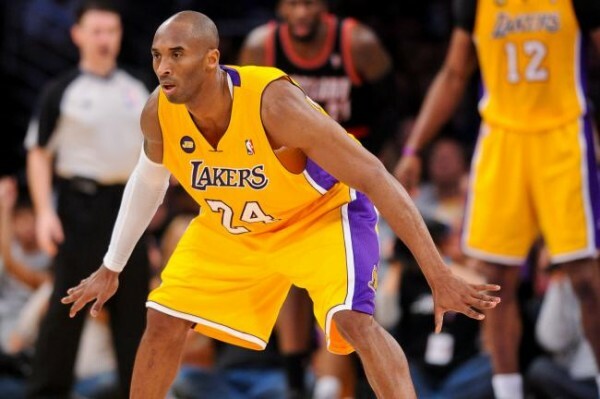 Because Kobe Bryant doesn’t always do things according to plans laid out by a head coach. As far as he’s fallen in terms of ability to execute things the way he used to, the ego hasn’t disappeared. And Bryant gets easily frustrated when he realizes he’s no longer playing on a team that can come close to a title ring or even a playoff spot. And when that happens, suddenly the motivation to do what the coach is asking him to disappears. It makes sense for Bryant to play less minutes overall, rest more, and try out “bigger” roles as the Lakers are trying to mesh their backcourt of the future with D’Angelo Russell and Jordan Clarkson. But while we can’t stop hearing about coaches having grand plans for players like Paul George and Rudy Gay to play power forwards and everyone dreaming of some small ball lineup that is unstoppable, Bryant provides a challenge for a coach because of his age, his breaking down basketball body and his ego, which will never go away.